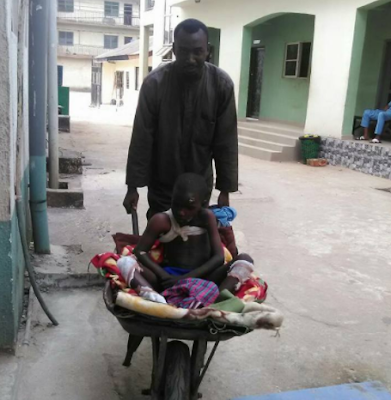 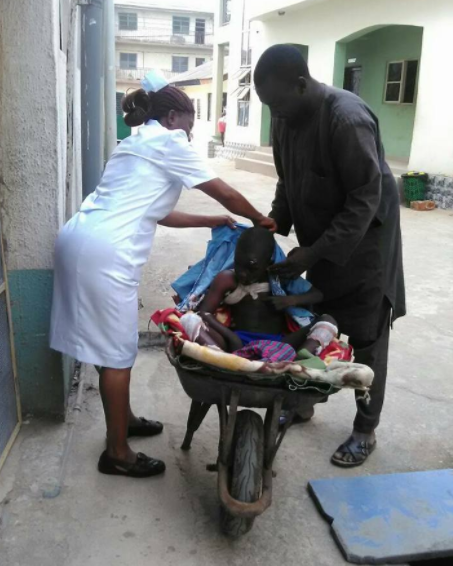 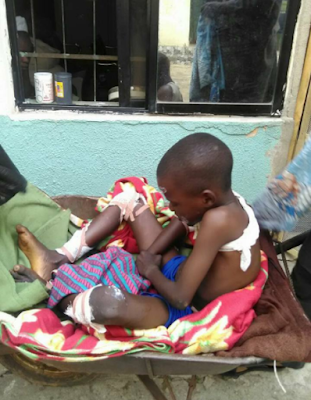 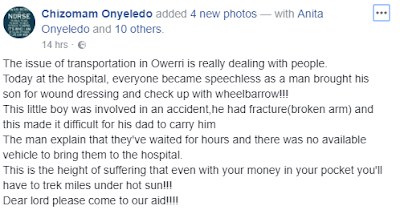 A father who could not afford any other means of transport took his wounded son to the hospital in a wheelbarrow following an accident in Imo state. The father padded the wheelbarrow with blankets and clothes before putting his son in it to convey him to the hospital. 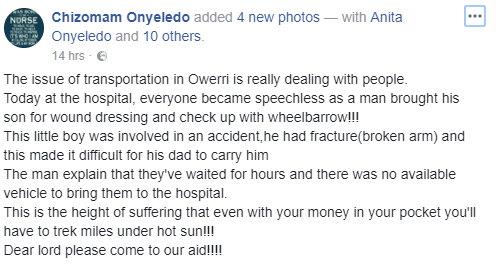 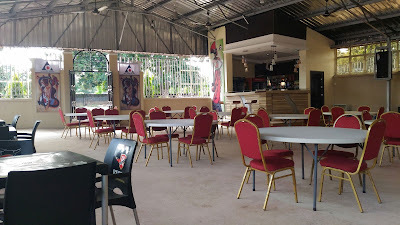 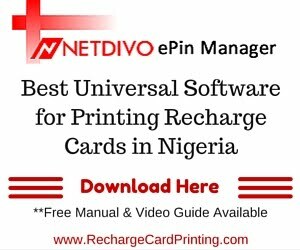 According to Chizomam Onyeledo who shared the story, money wasn't as much the problem as was the availability of public transportation. The father had waited for hours but could not find an available vehicle.